The Lockwood triplets are charged with helping to save the world–but at a high cost. Coral is always in the middle, always the family peacemaker. She’s the sister with the most to prove. When a freak snowstorm halts her Florida summer, signaling the Norse end of the world, she tracks down Taran Breen–a would-be warrior carrying Thor’s soul. A boy who’s fought his temper all his life and is now a suspect for murder. One who looks at her as no other has before. As roaring seas surge and terrifying underworld creatures emerge for battle, can Coral control her goddess magic and protect Taran? Because now she has a chance for more than her crazy life–as long as she and Taran win…. Rinda Elliott is an absolutely brilliant and creative writer. She developed this world that, as terrifying as it is, I didn’t ever want to leave. She incorporated myth that’s fairly new to me, adding her own twist, made it even more exciting and intriguing. This series is total top ten for me. It’s a forever favorite. It’s one of those series that stand out and will be remembered no matter how many books in the genre I read or how much time has passed. So… yeah… this is a definite must read. As a huge lover of everything mythology and a slightly more recent convert of everything Marvel, specially their versions of the Norse Gods, this series has the main ingredients to become something I’d really enjoy, and this second book has not disappointed me at all! Absolutely bloody amazing! Grips you right from the start and the characters are soo deep they are almost 3D and the plot has as much twist as a whole wall full of celtic knots. Really, really, enjoyed meeting Coral and Taran….possibly a new dream book boy…. as this 2nd book is soo good I can see the final 3rd book will be utterly mind blowing! Rinda really is a sorceress with the way she ingeniously intertwines the complexities of Ragnarok and norse myths into a world that young adult readers can enjoy without being confused. Truly splendid writing. Ms Elliot has some serious writing skills–As with the first book, there’s a fair bit of action going on, and the story runs along the same timeline as Raven’s. 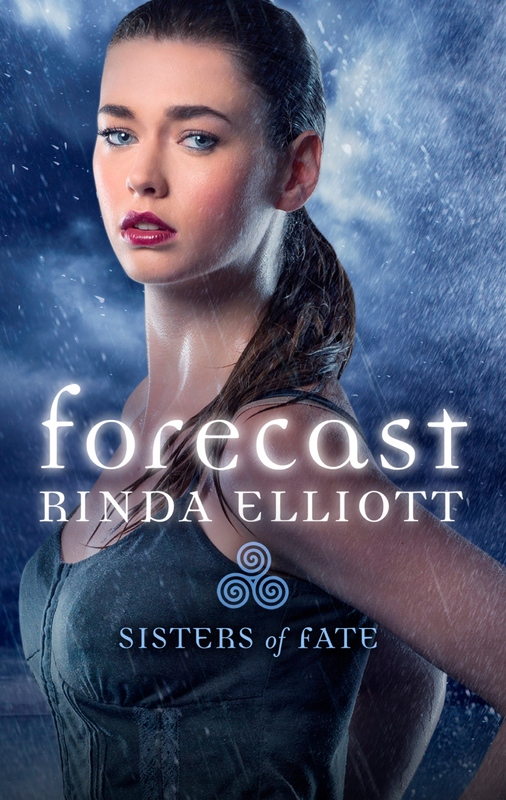 Having written about one sister already and dealing with the common subject of a bone cold winter (in summer) through both books, Rinda Elliot runs a real risk of boring the reader with the same theme by repeating the same things in different ways. But surprisingly this doesn’t happen. I’m not sure if it’s because the Lockwood triplets have such different personalities, making the descriptions and references seem totally new or if I was just too absorbed in the story to notice. But what ever the reason, Ms Elliot has some serious writing skills and I can’t wait to make a start on the final book, Foresworn.